This course is suitable for enthusiasts, start up and small companies who want to make their own composite parts and are unsure where to start. We will show you how to set up a workshop where you can apply best practices on a budget. We will tell you what to buy and not buy and will recommend best value suppliers. As independent experts, we will get you the most cost effective solutions in terms of part quality, materials and equipment and save you money on expensive mistakes, we have no intention of selling you expensive materials or inadequate equipment. 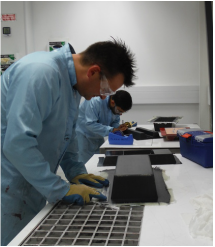 On this course you will learn how to produce composite parts from a sketch through to a pattern, mould and component using a range of cost effective methods and materials to achieve good results. It includes how to set up a basic workshop environment for the processes and cost effective investment. We recommend this course for enthusiasts, start up and small companies who want to make their own composites. Delegates who have previously attended this course have gone on to set up their own production/companies knowing how to apply best practices on a budget. Throughout the week we will cover approximately 30 hours of practical. 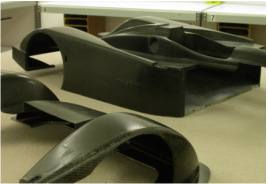 We begin by explaining the design principles for producing your own composite components. The approach is logical and a will take you through the stages of producing your own composite parts in a structured way. You will start by producing a pattern, following a component drawing. You will make your mould and produce your own components. At each step in the process a new production method is introduced. The mould is made using wet lay-up laminating and the components made using both resin infusion and pre-preg laminating. Each new processing method is accompanied with technical demonstrations and theory to highlight the advantages and considerations when working with any of the processing methods. When wet lay-up laminating, you will complete the required wet lay-up calculations, producing your composite mould using various laminating tools including brushes and rollers. Throughout the week you will learn the importance of composite material handling and storage, resin dispensing and accurate application. 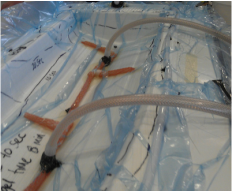 As the resin flow infusion method can be difficult to predict you will first produce trial panels. These will provide the relevant information required to produce an infusion strategy for your component. You will lay up your parts applying the infusion media, surface vacuum bag, infuse the parts and cure at room temperature. The final component is produced with pre-preg laminating. 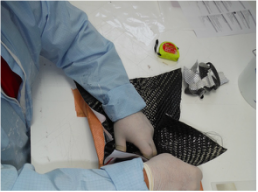 Composite sandwich structures are covered at this stage, looking at the advantages, preparation and identification of core materials. You will lay-up your part and envelope vacuum bag it before curing in the autoclave. We then end the course with inspection of the parts and identifying defects. A group discussion will look at what causes defects and possible solutions. We will look at which process and material works best in which application, cost implications and quality of part versus cost implication. Throughout the course we will be addressing materials and composite equipment suppliers. I want to make composite parts and don't know where to start, which course is best? Do I get to make my own parts? How do we know how good you are? Why should I choose DMC over other courses?